This has got to be one the most unusual article on manga I've ever seen. 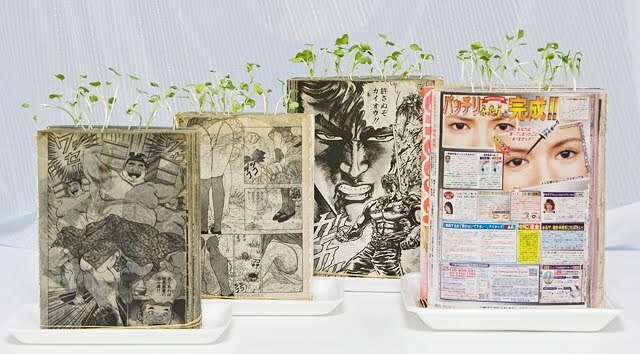 The short version is that old manga can be used as a pot/soil combo for certain types of plants. I'd hate to see any good comics used in this manner, but it might prove to be a more useful application of Incarnate. Actually, in Japan, manga are published one a week or month, depending on the publisher, and are usually thrown away by most people after being read. They are printed on the lesser equivalent of newspaper.